Steve Charles Balboni was born on January 16th 1957 in Brockton, Massachusetts. The six foot three right hand power hitter, attended Eckerd College & was a second round draft pick of the AL New York club in 1978. Balboni became known as Bye Bye Balboni, for his long Hrs & some may say his frequent strike outs. He was a feast or famine type hitter. In 1979 he bashed 29 HRs at A ball Ft. Lauderdale & then went on to have three straight 30 plus HR seasons at Nashville (1980) & at AAA Columbus (1981-1982). In those years at Columbus he was the AAA HR Champion. In 1982 his 32 HRs came in just 83 games & the following year he hit 27 HRs in 83 games. Balboni would see brief action in parts of three seasons with the AL New York club, debuting in 1981 in four games. In December 1983 he along with Roger Erickson got traded to the Kansas City Royals for Mike Armstrong, who went 3-3 in three seasons & Duane Dewey, who never got to the big leagues. George Steinbrenner was so upset at the bad trade, that he tried to have it vetoed claiming Armstrong was injured at the time of the deal. The Commissioner ignored the accusations. 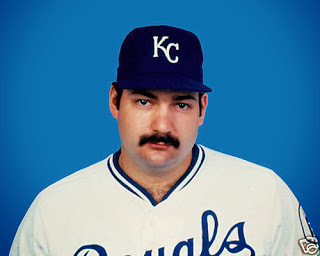 The Royals certainly got the best of this deal, as Balboni went on to hit 24 or more HRs in the next four seasons. In 1984, Balboni gave the AL Western Champion Royals 28 HRs & 78 RBIs, but he went down swinging 139 times (3rd most in the AL). That year he became the second big league position player to strike out in nine straight plate appearances. In the Royals 1985 Championship season he led the team in HRs (36) which set a Royals record that still stands, & his 36 HRs were the third most in the league. He also led the team in doubles (28) and was second to George Brett in RBIs (112). Post Season: In the post season he hit no HRs & struck out 12 times in 49 at bats. He did hit safely in the final four games of the World Series & batted .320 with three RBIs, in the win against the St. Louis Cardinals. 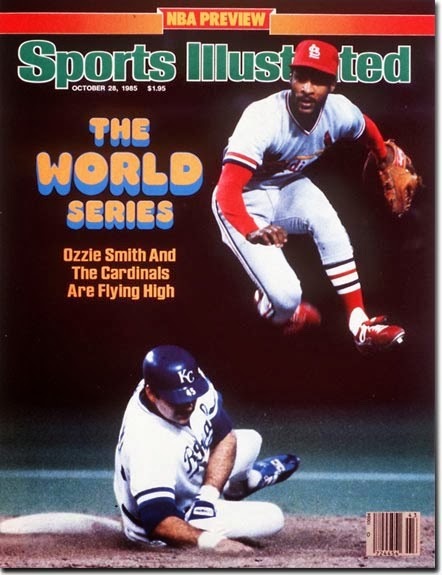 He also made the cover of Sports Illustrated sliding under a leaping Ozzie Smith during the Series. After two more years of hitting HRs in Kansas City, he was released in 1988 after 21 games when he was batting .156 with two HRs. He found new life in Seattle, hitting 21 HRs with 61 RBIs in 97 games, while batting a career best .251 for the seventh place Mariners. In Spring Training the next year, he was traded to the AL New York club for a minor leaguer. At age 32 his best years were behind him, as injuries & such limited him to fewer than 120 games each year. By this time he was primarily a designated hitter, as he hit 17 HRs in each of two seasons he played in New York. In 1989 he drove in 59 runs & hit .237 but fell of to a .192 average in 1990. 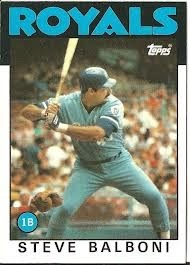 In 1991 he signed a deal with the Texas Rangers, playing in their minor leagues at AAA Oklahoma City for three seasons. After hitting 20 HRs in 1991, he went on to two more 30 plus HR seasons, even winning another International League HR title in 1993 with 36 HRs. He also drove in over 100 runs in those two seasons. He made a very brief MLB comeback in 1993 with Texas, playing in two games going 3-5, with two strike outs. In his eleven year career he had 714 hits, 181 HRs 127 doubles, 11 triples 495 RBIs & 856 strike outs in 960 games. He averaged a HR in every 17.2 at bats which is 55th best all time. 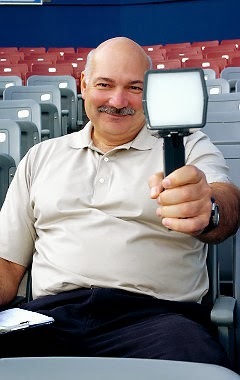 Retirement: Balboni has coached in the Royals, Montreal Expos & St. Louis Cardinals organizations for many years. He runs the Steve Balboni Baseball School & is a scout for San Francisco Giants. 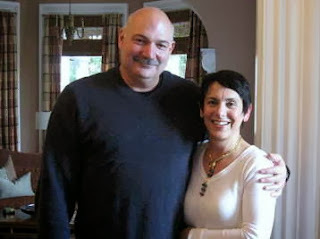 He & his wife have three sons & live in Berkley Heights, New Jersey.